Contact Info: MaryEllen@barnstorm.us for more information. Vendor space available early reservation discounts until March 31st. Details: Join us for our 15th Annual Summer Open Barn event at Barnstorm on May 5th from 1-5 pm. It's a Cinco de Mayo Open Barn Celebration this year! 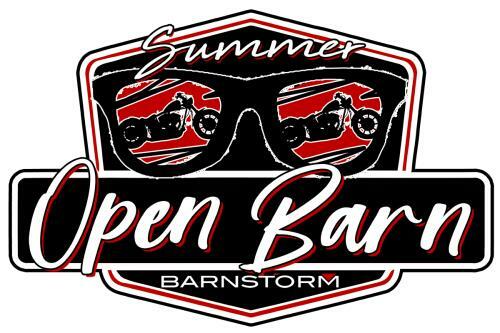 Ride in and meet the Barnstorm Team and get ready for a great summer! Enjoy fresh Mexican food prepared by 5 Loaves in Spencer, MA. Enjoy a margarita drink, beer or soda while talking motorcycles and Jeeps with friends. Watch Grimm Co., the Harley Stunt team perform motorcycle stunts on Wall Street throughout the day.Enter yourself in a fun keg push or slow ride contest and win prizes!